You are a primary teacher, you are not science-trained and as of last year, you now have to teach the NSW K–10 Science (incorporating Science and Technology K–6) Syllabus for the Australian Curriculum. Well, this is the page where you should start developing knowledge, understanding of and skills in applying the processes of Working Scientifically. In Stage 1, students are expected to take part in scientific investigations that are structured by the teacher. 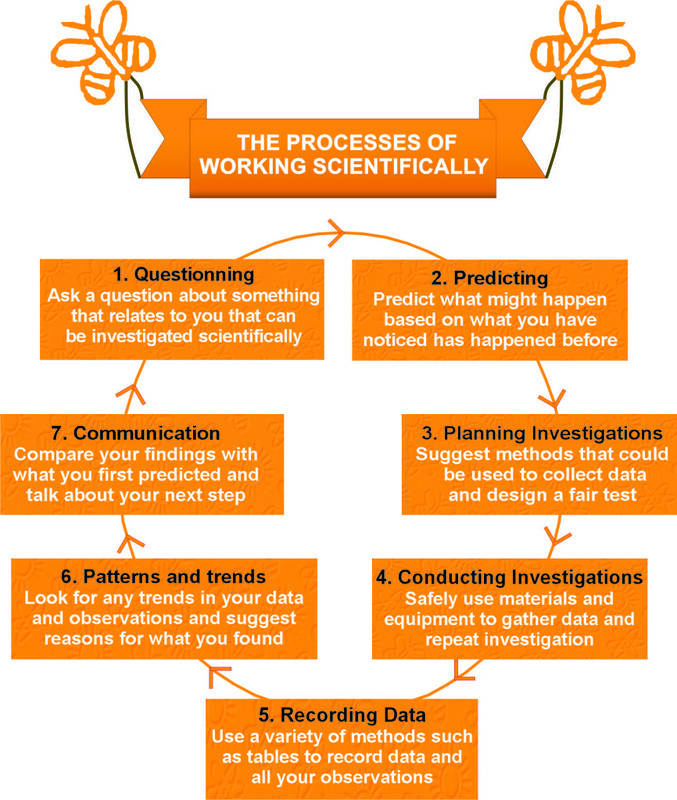 In Stage 2, they are introduced to planning an investigation, however, the emphasis is on the careful recording and communicating of gathered data and then evaluating the processes that were used in the investigation. By Stage 3, students are expected to plan and conduct a range of scientific investigations. For the purposes of demonstrating what is expected in a typical, yet thorough entry for the STANSW Young Scientist Awards, we will use an example of a Stage 2 investigation on long jumps to give primary teachers a guide on how to put together a scientific investigation. In groups of 3 or 4, the Stage 2 class were given the task of choosing a topic on Body Systems in the context of Sport. Groups were issued with A3 paper for listing all group member ideas and a 64pg book for each student to use as their logbook for the duration of the project. After deciding on an idea they spent the next week in the library to do some background research. In subsequent weeks, they refined their question, made a prediction, planned their experiment, conducted their experiment, used class computers to record their data in tables and graphs, discussed their results looking for trends, came up with a conclusion and then completed their combined final report and individual logbooks. Eight weeks after starting, spending just one afternoon a week, each group communicated their investigation to parents and students at their school’s Science Fair and then their projects were sent in to Young Scientist. The list below shows the components of the final report, in order, for the group who investigated long jumps. Introduction – Our PDHPE teacher tells us that if we look down at the sand when we jump, our head acts like a rudder and we lose a lot of distance. So keep your head up! 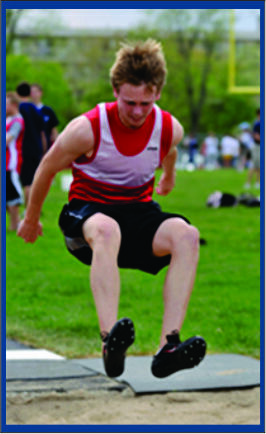 Aim – Does looking straight ahead instead of down at the sand, significantly increase an athlete’s long jump performance? Background Research – At the school athletics carnival we observed that out of 226 jumps, competitors looked down at the sand 220 times! It is definitely a major problem. Prediction – We believe that by keeping your head and eyes focused straight ahead, we should be able to improve a long jumper’s performance. 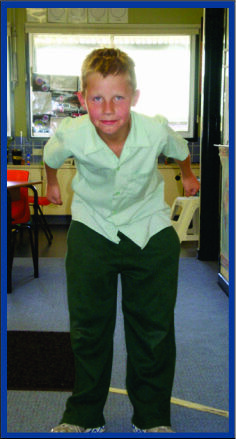 Fair Test – The run-up is a huge variable so we decided to go for a standing long jump. All variables were kept constant, except a target that was moved from the ground to the wall. Method – 25 subjects each had 6 jumps. They looked at the target on the ground for jumps 1, 3 & 5 and then looked at the target on the wall at head height for jumps 2, 4 & 6. Results – Arranged data in 3 tables and 9 graphs. We used column graphs, bar charts and pie charts to organise our data. Data Analysis – 19 out of the 25 subjects showed an improvement when looking straight ahead. The average distance when looking straight ahead was 114.2 cm and when looking at the ground was 108.7 cm. Discussion – We did notice another trend – most of the jumping distances improved during the six jumps. Conclusion – We found a 5.1% increase in jumping distance when looking straight ahead which supports our prediction.